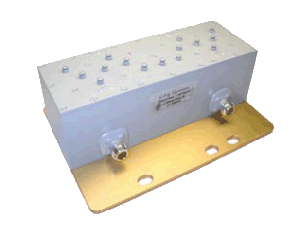 Cavity band-pass filters manufactured by G-WAY Microwave exhibit low Insertion loss, high selectivity, and excellent passive intermod performance. G-WAY utilizes a variety of High Q Cavities for each design. ​If our standard line does not quite match your specifications, we are well-known for successfully adapting our filters or custom designing new solutions to suit each unique project. Please refer to our Custom Filter Form to begin formulating your performance objectives and e-mail to info@gwaymicrowave.com.